The aluminium bifolding door offers a host of benefits in the home, but what are the slimmest bifolding doors you can buy? With more bifolding door systems available than ever before, if you are a homeowner looking for a quality bifolding door, there is a tremendous amount of choice. One area you may be considering is the appearance and aesthetics. One of the promoted features of the bifolding door is the ‘door sightline’. The door sight line is the visible aluminium you see on a closed set of bifolding doors. This is where the door panels meet or referred to as the door mullion. Here is our table illustrating the sight line of virtually every aluminium bifolding door system available today. See how they compare in order of slimness at the door mullion and the sight line dimension you can expect to see. How do we arrive at our list of the slimmest bifolding doors? The data for over forty bifolding door systems come from the system company websites or their technical and fabrication manuals. The above sight lines indicate the typical dimension where two intermediate panels meet. Sizes with some systems increase when a folding panel meets the traffic door if one is specified. We excluded frameless and slide and fold doors operating on an individual moving and folding panel basis as well. Also excluded are systems that do not meet current Building Regulations. The System 48 bifolding door by Fineline Aluminium. For balance, we must mention one bifolding door, not on the list that takes the top spot as probably one of the slimmest bifolding doors. That door is the System 48 Bifolding Door by Fineline Aluminium of Weston Super Mare. The System 48 Bifolding door looks impressive offering a remarkable 48mm sight line and beating the Smart Systems Visofold 6000 by quite a margin. We did not include Fineline’s System 48 because it is a structurally glazed bifolding door, made around the glass. The aluminium sections are not, strictly speaking, door sash sections either and it uses different hardware for the slide and fold operation. The locking systems are located on the rails rather than the door stiles as well. This is because, with such narrow sections, most lock cases cannot fit in such thin sections. 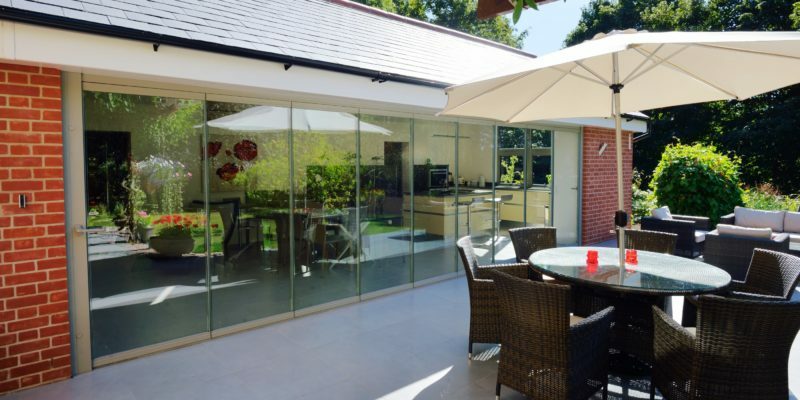 While very much a bifolding door worthy of consideration, we felt the System 48 bifold as being far too different in its design to be included in our table of ‘conventional’ bifolds, that mostly share a similar construction. But it is a fantastic looking bifolding door with impressive thin proportions. It is worth giving a mention to the frameless bifolding door. These are minimal-framed slide, stack and fold products that, chosen correctly, provide even thinner sight lines. If you want even less visible aluminium, then check out frameless bifolding doors. Sunseeker doors have a mullion sight line of 38mm using a plant-on profile to cover the glass edges. Frameless Glass Curtains by FGC of Chatham has no visible mullion and only a minimal gasket sight line where the door panels meet. Smart engineering, a patented glass spacer bar and sophisticated gaskets make these doors incredibly thin. Therefore, if you want as much glass as is possible on a bifolding door, we suggest you consider these. A different kind of bifold in design and operation but also a contender amongst the slimmest bifolding doors. Is the slimmer bifolding door better? AluK, Smart Systems and Origin are three bifolding door brands in the UK with excellent sales, given the size of the systems companies by turnover and the volume of bifolding doors supplied. This is despite their doors not being the slimmest on the market. Ultimately a buyer and a manufacturer of bifolding doors takes many different factors into account and not just the bifolding door sight line. However, with the bifolding door market established and with more than 30 systems available, customers have never had more choice. 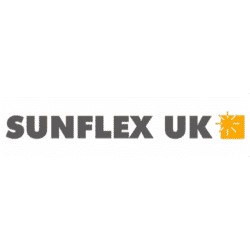 Recent new ultra slim bifolding door products include the air 800, the Dutemann FD85, the Exlabesa Xlafold and the Smart Systems Visofold 6000. The Comar bifolding door is as thin as the better known Schuco door. All these products are designed with a narrow bifolding door sight line as an ultra slim door is perceived as being more desirable. 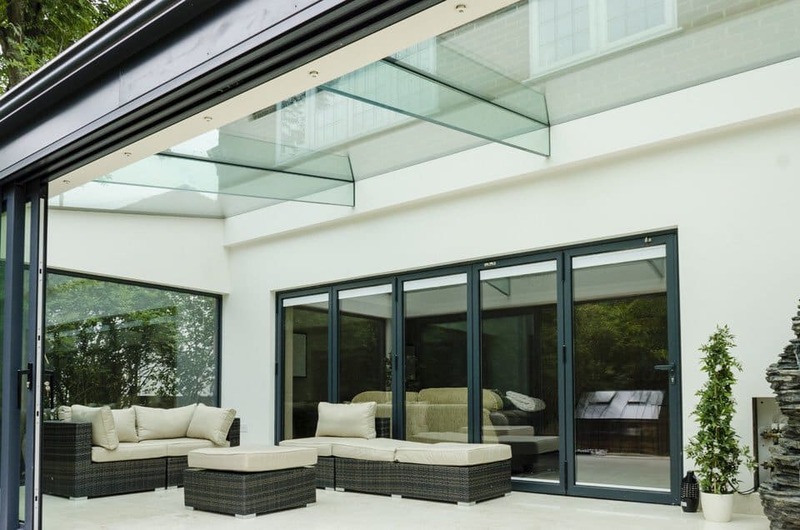 What to consider when buying bifolding doors. The sight line is just one consideration when buying a bifolding door. It is not just about the slimmest bifolding doors. Here is what else is more important. The overall product aesthetic and how it looks as a complete door not just in one area. The more door panels, the less intrusive the mullion can appear. The quality of the hardware, locks and bifolding door handles. The colour, handle, configurations available and other personalisation options. The security and weather performance of the product. The U-Values provided if energy efficiency is important. The guarantee available with the product. Your confidence in dealing with the company providing you with the doors. If you would like more information about the system mentioned or have any questions about bifolding doors, contact us. If you’re also considering sliding doors, take a look at who makes the slimmest sliding doors in aluminium. We wrote this article in 2017 with constant updates. The last update is in February 2019. You note in your article that some big retail brands are missing from the list , as they use one (or a variant of) the systems listed. Can you tell me which system Kloeber uses as they make out they design and manufacture their own. Great information on your site, thank you . Hi Shirley, we understand Kloeber uses the Schuco system, ASS70FD bifolding door. Thanks for the kind comments about our website. One of the considerations listed is Guarantee period. Origin offer 20 years with Aluk offering 10. Should the Guarantee period be a significant factor of choice ? Hi Martin, the fair answer is no it shouldn’t, mainly because products such as Origin 20 years, Air Doors 25 years are fine doors but the vast majority of bifolding door products do as well as these excellent bifolds with 10 years. Ultimately it is down to the homeowner and how much the guarantee matters in the purchasing decision. For example, if you are renovating a home for long-term living and then the guarantee is bound to matter more than perhaps if you’re looking to sell the home in the near future. Any well made and correctly installed product should be reliable in the long term. We also have to credit companies such as Origin and Air 800 bifold doors because the reason they offer this type of guarantee is down to the fact that only these companies make their doors. For this reason, they are able to stand by their excellent manufacturing and offer a longer guarantee than the other doors on the market made by many different manufacturers. Again, this is a good reason to consider these types of doors.